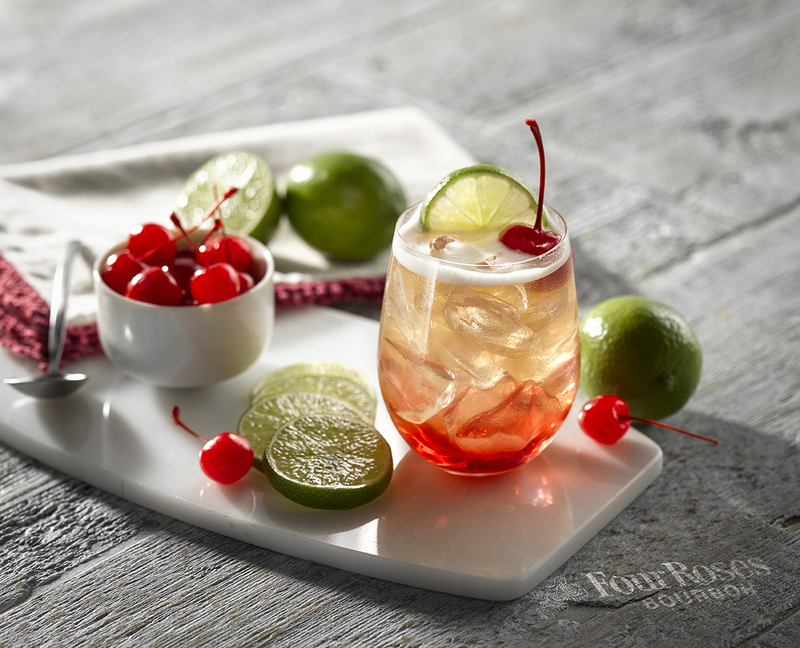 A bourbon twist on a south of the border classic. Add Bourbon and margarita mix in a glass over ice and stir. Add more ice and a splash of Grenadine. Add the cherry. The red color will settle near the bottom of the glass.